Opaque Space has been developing content, tools and systems in collaboration with various groups engaged in private and government work in aerospace, with examples such as the sharing of materials with NASA during the development of Earthlight as well as entering into a Supplier-Agreement with Boeing on the CST100 Starliner program. Developing world-class environments derived from existing reference material, including CAD models or photograph material. From complex super-structure visualization to underwater environments, Opaque Space is able to recreate complex environments in unparalleled immersive quality. Being able to inhabit a space is critical in establishing presence in Virtual Reality. 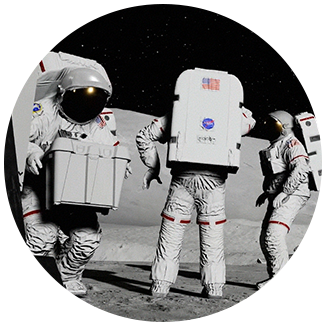 Opaque Space is the world's leader in creating full body avatars for use in complex Virtual environments, offering a full spectrum of development options ranging from industrial design prototyping to recreating existing flight suits. Presence is intertwined with agency, key in the ability to undertake and learn a range of concepts in Virtual Reality. Opaque Space are among the world's experts in developing interaction methods in Virtual environments, with an emphasis on basing it on existing scenarios. Utilizing state of the art Free-Roam technology with sub-millimeter tracking is critical to recreating complex operations with tracked users and objects. 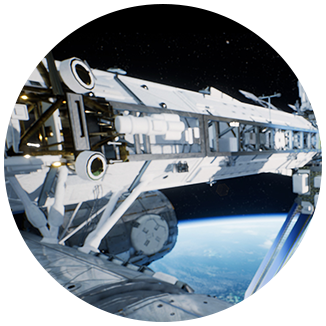 Opaque Space is building the next generation of Surface Operations for aerospace and human spaceflight endeavors with an emphasis on accuracy, immersion and high fidelity quality. Creating complex visualizations of cockpits and vehicle operations for interactive Virtual Reality applications. Opaque Space is capable of recreating dynamic vehicle and cockpit operations that support training modules and integration with a spectrum of interaction methods . From private aerospace to theoretical post-ISS missions, scenario design and development is key to utilizing the full extent of interactive Virtual environments. Utilizing Free-Roam Mixed-Reality technology platforms, Opaque Space is able to create environments that are not only immersive, but reactive to touch and able to support objects that can be sensed, held and manupilated. Operations with multiple users, scaled from small volume areas to multiple sites. Opaque Space has developed platforms that enable not only networked multiple sites, but also for multiple users to inhabit various locations, scales, distances and allow for groups to be split up, formed or tracked across various Virtual environment volumes.